Stockfish won its sixth consecutive title in the Computer Chess Championship, but four neural network engines are challenging it for the Blitz Bonanza. The Chess.com Computer Chess champion Stockfish defended its sixth straight title last weekend as it bested the machine-learning engine Lc0 in a heads-up match that went the distance to the maximum number of games. Stockfish took the CCC 6: Winter Classic championship belt after a solid 101.5/200 showing in the final, which was played at a time control of 10 minutes plus a 10-second increment. These two engines move on to CCC 7: Blitz Bonanza, heading a field of 24 engines in the first stage of the tournament. 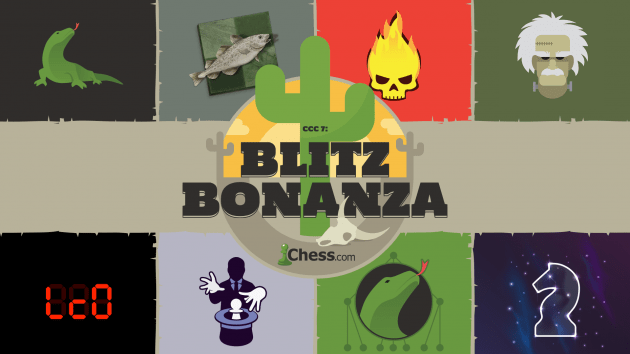 CCC: 7 Blitz Bonanza is in progress now as the round-robin follows an escalating order, with the top seeds playing last. The CCC 7 field includes the "big four" engines of Stockfish, Lc0, Houdini and Komodo, and adds three more neural-network engines that are expected to challenge for the finals in Antifish, Leelenstein and Allie. Stage one of CCC 7 is a 24-player round-robin, where each engine will play every other engine three times as White and three times as Black. The top four engines from stage one will advance to a 100x round-robin final stage. CCC 6 Finals Crosstable. Image courtesy the Twitch member Khagrin2. Download PGN for all CCC 6 finals games. Lc0 showed its unique, almost-human capacity to torment its opponent, taking nearly 300 moves to checkmate Stockfish while up a rook. Does Lc0 "enjoy" being in a winning position for as long as possible, or is it just playing it safe with every move? Stockfish, on the other hand, demonstrated its trademark brutal efficiency, turning a small advantage on move 35 into a checkmate just 10 moves later. Who do you think will win the Computer Chess Championship Blitz Bonanza? Let us know in the comments, and be sure to vote on the games at the CCC main site.